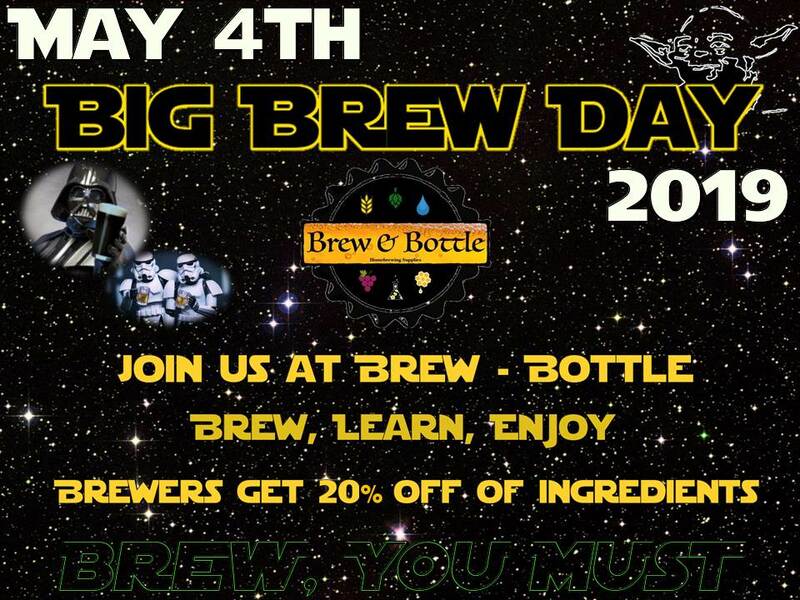 May 4th is this years date for National Homebrew Big Brew Day! Come join us at the Brew & Bottle parking lot, brewing will start at 9:00am but all are welcome to come and hangout, where you will get a chance to see homebrewing first hand. This is a perfect opportunity to come learn, taste, and enjoy homebrew! There will be music, games, raffles, and of course some homebrew to sample. If you have any questions please call Tuan at the store or visit us on Facebook.